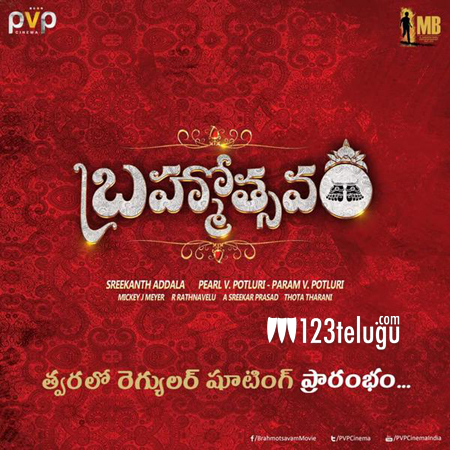 After bagging a much needed commercial success with his recent outing,Srimanthudu, Prince Mahesh Babu is getting ready to shoot for his next film titled Brahmotsavam. Srikanth Addala is directing the film and PVP Cinema banner is bankrolling it. The first schedule of the film will roll out from the 16th of this month in Ramoji Film City. Samantha, Kajal Aggarwal and Pranitha Subhash are playing the female leads in the film. Mickey J Meyer is the music director. Rathnavelu handles the camera and Sreekar Prasad will head the editing department.